The Homeschool Buyers Co-op is pleased to present GroupBuy savings for award-winning LiteracyPlanet® from BrainWare Learning Company. LiteracyPlanet is an engaging and motivating program to develop key literacy skills. Enjoy an annual subscription for only $79 - a savings of up to 22%! LiteracyPlanet brings together curriculum aligned literacy education and the latest digital technology. 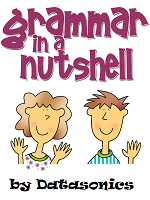 Whether for early reading skills or advanced grammar, LiteracyPlanet will provide your child with a learning adventure to help them develop excellent English literacy skills. Upon completion of the diagnostic test, a prescribed learning schedule is generated to meet the student's unique learning needs. Parents have access to reports and teaching tips for every exercise. With the completion of just 70 exercises, LiteracyPlanet students of all ages and abilities achieve an average 12% improvement in grades. This is the equivalent of having a student use LiteracyPlanet for just half an hour a week. And the more a student uses the program, the greater the improvement. 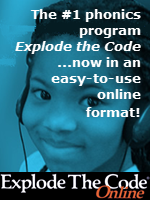 Visit the LiteracyPlanet website for more information. Fulfillment: Within one (1) business day the Co-op will send your order to Brainware Learning Company. Please allow three (3) business days for them to set up your account. You will receive a 'Welcome' email with getting started information. If you don't get the email, please check your spam folder first, before contacting the Co-op. Returns/Cancellations: If you are not completely satisfied with LiteracyPlanet, you can request a full refund if you do so within 30 days of the date of purchase. Submit your cancellation request at our Contact Us page. You will receive return instructions via email and/or phone. 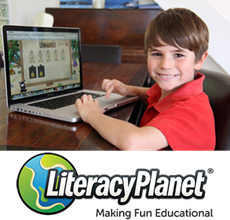 LiteracyPlanet is an online education program dedicated to improving all key literacy areas and learning outcomes. Access to the LiteracyPlanet app on unlimited devices. Parent dashboard to view child's performance. Thousands of literacy exercises to keep students challenged. Enter a "1", as shown in the Qty space above if you want a 1-year subscription. In the spaces below, please provide the required student information, including a Homeschool Name. If you do not have a Homeschool Name, you can enter the parent's name or any other name you'd like.